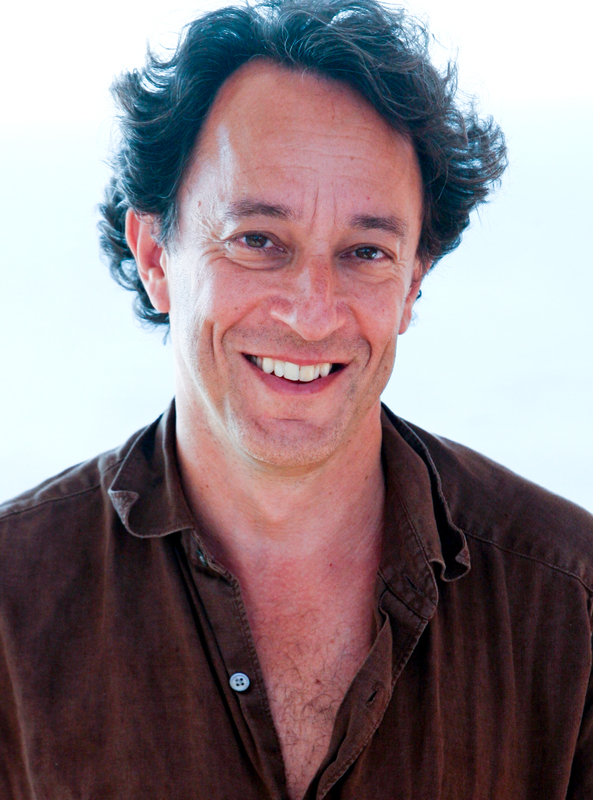 Michael Kimmelman is a tangential speaker. His tales give rise to others, and he weaves a complicated web of stories that ultimately reveal themselves as coherent and precise points. But the beauty isn’t in the point or purpose of his stories; it’s more in the way he pulls in other pieces of his art-saturated life, taking these individual strands and laying them out before twisting them together into a richly colorful braid of culture. On Thursday night, Kimmelman brought his nesting-doll-esque style of speaking to Russell House for the Annie Sonnenblick Lecture, named for Annie Sonnenblick ’80, whose parents established the series after the alumna’s untimely death at the age of 26. Past speakers include Colum McCann and David Remnick. Kimmelman joined the ranks of these distinguished presenters with a talk that brought in disparate aspects of his career and personal life to weave a narrative about architecture, art, and the roles they play in society. After briefly toying around on the piano (and when I say toying around, I mean releasing a gorgeous few seconds of melodic notes being that Kimmelman is a concert pianist who performs both in New York and around Europe), Kimmelman offered a few thoughts on his role as a critic and the point of criticism in general. “Opinions are pretty cheap, and we all have them,” he posited, in a phrase that he would repeat later in the night. He expressed that criticism is about articulating one’s opinions in ways that open up conversation and help move discussion forward in constructive ways. Kimmelman then conveyed a series of anecdotes that all took place during the writing of his 1998 book, “Portraits: Talking with Artists at the Met, the Modern, the Louvre, and Elsewhere.” The book consists of conversations with various renowned artists that took place in front of their favorite works of art in one of the museums mentioned in the title. Next, Kimmelman recounted a series of memories from a cultural trip he took to Gaza right after the territory became occupied by Hamas. There, he found two phenomena that especially intrigued him: The first, a café in which families could watch American shows like “Friends,” “Oprah,” and “Seinfeld”; and the second, a Turkish soap opera called “Noor” that had been translated into Arabic and subsequently took the entire Arabic world by storm. The show’s popularity even created new air routes from Arab countries to Turkey due to the spike in touristic interest in the country where the show had originated. But Kimmelman was less intrigued by the show’s popularity than by how it had managed to reach these incredible heights. He posited that, in contrast to the chaos and violence in Gaza, the show provided an image of prosperity and normalcy, as well as a traditional Muslim family with a strong woman and a supportive husband. Kimmelman’s tendency to study theories based on the culture of “everyday” individuals clearly informs his thoughts on art and architecture. He sees these traditionally elitist fields through both micro and macro lenses, examining works up close for their taste and quality but also framing them in the context of their production, and pinpointing places where architecture can not only add beauty to an environment, but also play an important role in a community’s development. To him, architecture does not only concern aesthetics, but provides a social value as well, something that can help or hurt the surroundings in which it is placed. “What is the value of architecture?” Kimmelman queried, segueing into a discussion of architectural undertakings that have served the societies in which they exist. One such work was a subsidized housing project in New York called Via Verde that included a roof garden, cross-ventilation, courtyards, and other features that infuse elements of nature into the urban space. “It produces something of dignity and pride in a neighborhood that should share in places of distinction normally limited to the rich,” Kimmelman explained, citing Via Verde as an instance when the value of architecture outweighs economic efficiency. Money that could have been spent on the creation of more apartments was instead spent on fine architectural design, and the result was a community-oriented complex that added beauty to a less-than-charming environment while serving a functional purpose. “I want to talk about architecture in ways that are real to lots of people,” he said, countering the assumption that the field is only concerned with works in museums or the creation of luxury apartment towers. As another example of utilitarian but still elegant architecture, he cited a state-of-the-art recycling plant in Brooklyn that was the product of a collaboration between the city of New York and Sims Municipal Recycling. Yet another instance was a sanitation truck depot and salt shed constructed in a wealthy, chic neighborhood just north of TriBeCa, where James Gandolfini, John Slattery, and Lou Reed all own homes. Despite these public figures’ protests (which Kimmelman attributed partially to a NIMBY-esque, or “Not In My Backyard,” attitude and partly to the understandability of not wanting garbage trucks stored near one’s home), the project culminated in two stunningly sleek edifices that only add to the area’s aesthetic appeal. At the end of the night, Kimmelman took a few questions from students, one of whom asked about his parents and his upbringing. In response, Kimmelman reflected upon what he called his “ridiculously clichéd background,” which includes a home in Greenwich Village and two extremely politically involved parents. He said that his eye surgeon father and sculptor mother both taught him to think for himself. What stands out most to me about Kimmelman is that while he is more than capable of discussing the aesthetic qualities of a piece of art, he sees design and creation through a much more informed, contextualized lens. He thinks about works critically in terms of how they integrate themselves into their milieu. He can explain everything from the reflective aesthetics of a Cartier-Bresson photograph to why there are no grocery stores in poor neighborhoods, and then he can show you why these seemingly disparate realms of knowledge are actually closely intertwined. It’s not only a refreshing viewpoint, but it seems like a superior one: Shouldn’t we all be able to consider the context of art, and its social, cultural, and economic role, as opposed to simply preserving works in their own little world of museums, galleries, and auctions? Kimmelman, it would appear, sees creative productions as pieces of a puzzle that are larger than both the artist and himself, and it was enlightening to hear about the way he studies each piece’s part in that puzzle’s construction.